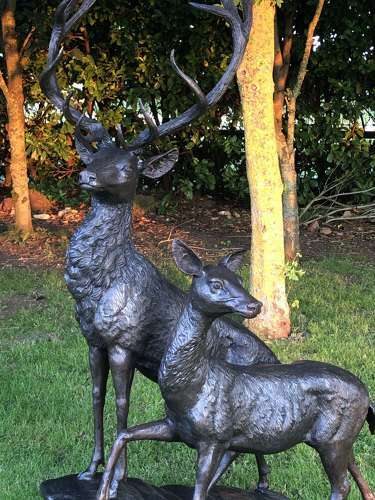 Bronze garden statue of Stag & doe standing on rock. A really beautifull statue measuring 165 cm to top of antlers 115 cm to top of stag head 130 cm long. Very good quality bronze casting.